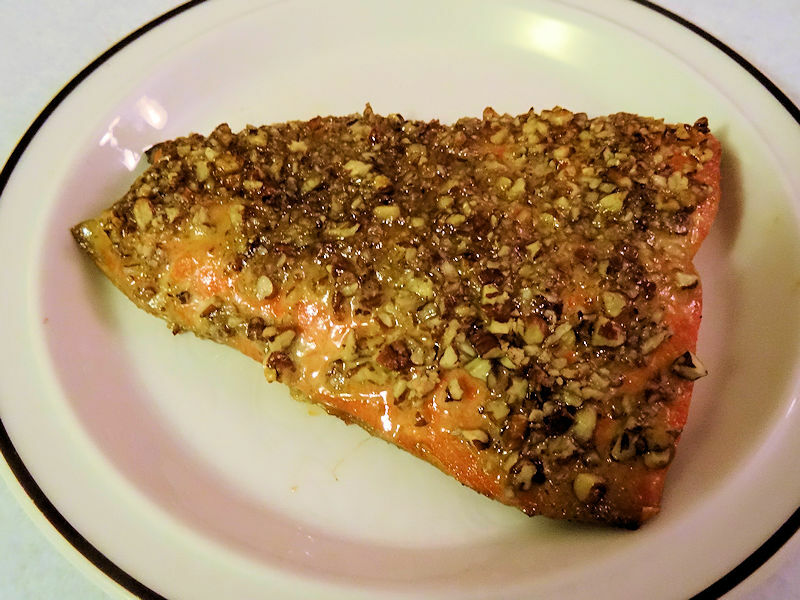 You make salmon often when it is one the person you love’s favourite dishes. To keep it fresh, I like to try different versions. 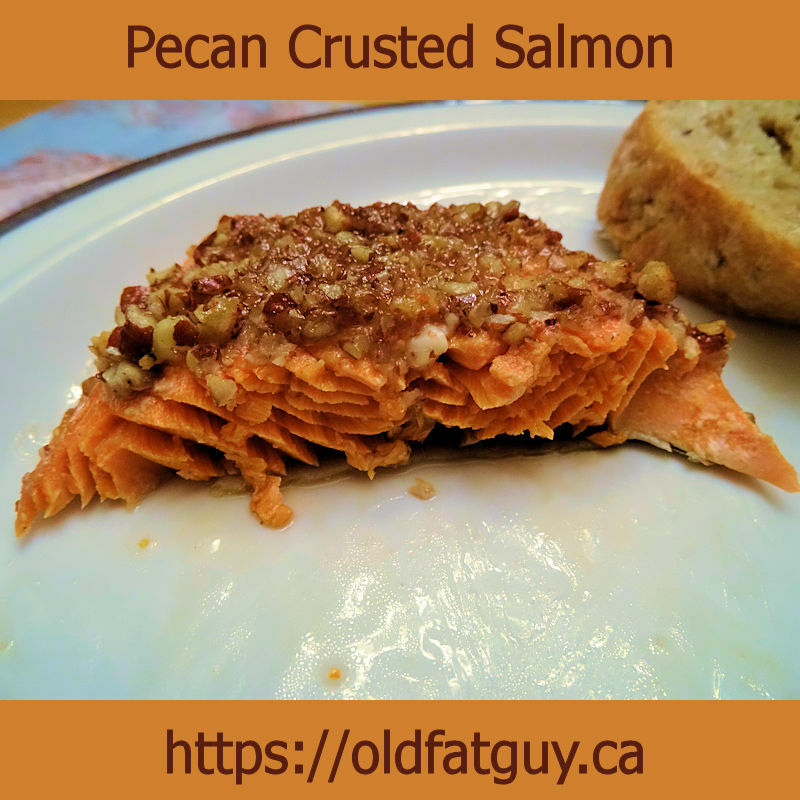 I decided that the rich taste of pecan would go well with salmon and created this recipe. 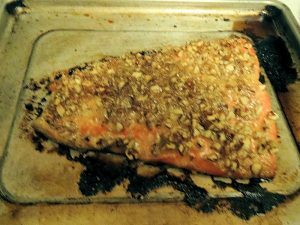 I started with a 250 gram (1/2 pound) fillet of salmon. I patted it dry with paper towel. I preheated my oven to 350 F.
The margarine will break into little pieces. This is fine. Spoon the mixture over the fillet. Finely chop 25 ml (2 tablespoons) of pecans. Sprinkle them over the salmon. Bake the salmon on a tray sprayed with baking spray for 15 to 20 minutes or to an internal temperature of 145 F. The time will vary depending on the thickness of the fillet. She Who Must Be Obeyed was pleased! The salmon was very moist. The maple gave a nice touch of sweet, the mustard and Worcestershire some spice and the nuts gave a great texture. This is well worth making again! 2 ml (1/2 teaspoon) Worcestershire Sauce. Mix the maple syrup, margarine, Dijon, and Worcestershire together. Sprinkle the nuts over the salmon. Bake on a tray sprayed with baking spray for 15 to 20 minutes to an internal temperature of 145 F.